A traditional Tulikivi fireplace/bakeoven that is comfortable to use and beautiful to look at. In this model, the bakeoven door is above the firebox door. The compact bakeoven has rounded corners and combines the properties of an efficient oven and warming fireplace. 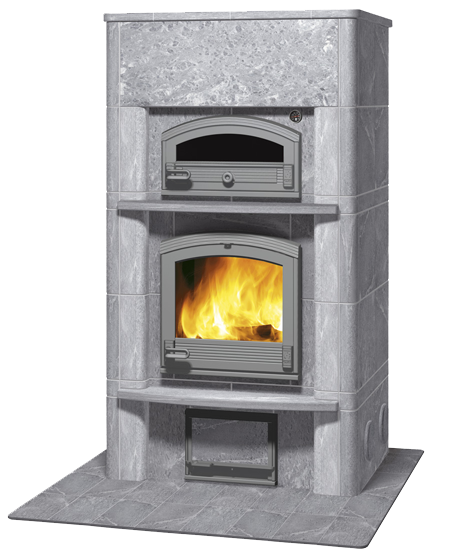 There is 2100 kg of heat-retaining soapstone.